How do you distinguish fā’ from qāf in early Qur’ān manuscripts? IQSA is providing a significant platform for the exploration of paleographic and orthographic features in early Qur’ān manuscripts. 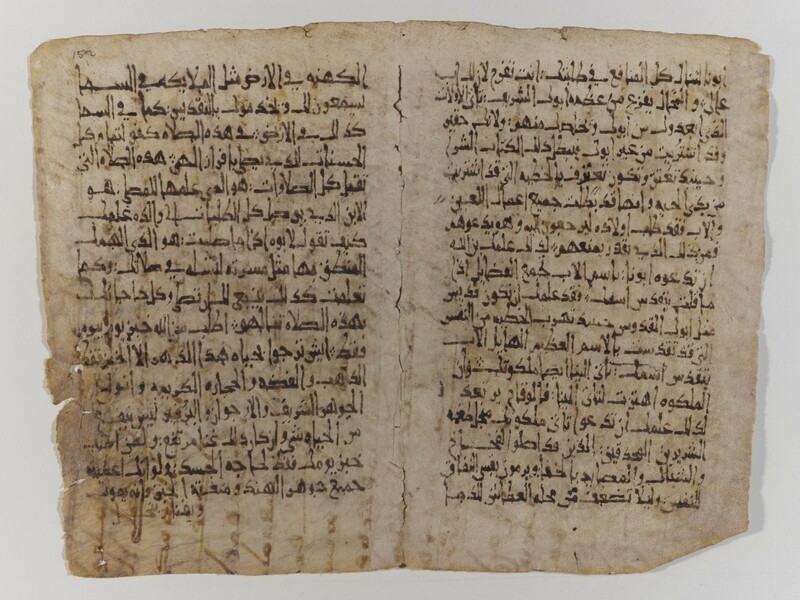 Recent blogs by Alba Fedeli and Daniel Brubaker have provided windows into some of the cutting edge research in Qur’ān manuscript studies. 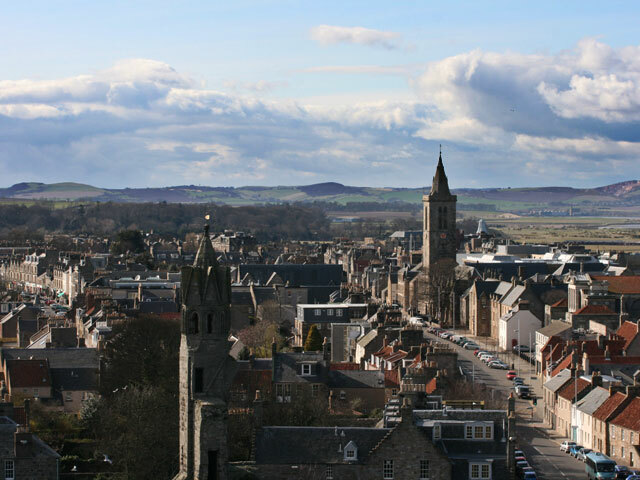 At the recent joint SBL/IQSA track at the SBL International meeting in St. Andrews, Scotland we had a fascinating lecture by Prof. Alain George on the Mingana Palimpsest at Cambridge. I’d like to give my own brief contribution with this blog using a recent discovery made while engaged in some routine library work. There is a well known convention that in Maghribi Qur’ān manuscripts and in modern printed Warsh Qur’ans where qāf is designated with one dot above the letter, but where can one find examples of one dot below? Frederick Leemhuis observes that in the first Islamic century this was a convention used in a few manuscripts from the Hijaz and Yemen and even in the Dome of the Rock Inscriptions. Leemhuis noted four manuscripts in which he had observed this rare system: Saray, Medina 1a, in Istanbul; 01-29.2 in Ṣanʽā’; E-20 in St. Petersburg, and Cod. Mixt. 917 in Vienna. I also observed this system in the manuscript from Ṣanʽā’, 01-29.1. Now, here it is appearing in manuscript in the Bodleian collection, and quite an unexpected place to find it at that. Thus, it is today evident that the real history of the fixation of the Qur’ānic text attested in the early manuscripts differs in extremely serious fashion from the history preserved in the Muslim tradition. Only an analysis of manuscripts will allow us to reconstruct the true history of the canon’s establishment. In one way, this feature Alasdair and I stumbled upon raises more questions than it answers. In another, it points to the validity of the endeavour of these careful studies on the manuscript tradition. These kinds of features show that scribes worked according to careful rules of orthography and notation, rules and conventions that would extend past barriers of time and geography, conventions that can be traced and examined in retrospect. By examining such details from the manuscripts, we can build up a better and more precise narrative of the textual development of the Qur’an. When we meet in Baltimore in November, Alasdair and I look forward to sharing more treasures with you from the collection at the Bodleian Library. Frederick Leemhuis, ‘From Palm Leaves to the Internet’ in Jane Dammen McCauliffe, ed., Cambridge Companion to the Qur’ān, Cambridge, CUP, 2006, 147, 148. Keith Small, Mapping A New Country: Textual Criticism and Qur’an Manuscripts. PhD thesis, London: Brunel University, 2008, 139; Textual Criticism and Qur’an Manuscripts. Lanham, MD: Lexington Books, 2011, 18-19. François Déroche, The Abbasid Tradition, London: Nour Foundation, 1992, 136, 137, 140. Efim A. Rezvan, ‘The Qur’an and Its World: VI, The Emergence of the Canon: the Struggle for Uniformity’, Manuscripta Orientalia 4 (1998), 13-54, here 23.